Yesterday afternoon a line of wicked stormed moved through the entire Chicago area causing a lot of damage. Winds up to 74 mph were reported in the City. It came on fast and furiuos. I was still at work and was amazed at how difficult it was to get people in the outdoor areas of my workplace to move indoors. Tornado warning in effect, people! I almost got hit by a flying tent - that would have hurt. That's the remains of our plumeria and the beautiful handpainted pot that Jacek made. Go ahead, click the link see it's story. I'll wait. Yes, that plumeria (this link is a photo of its first flower. This plant brought as a simple stick from Hawaii was ripped in half and toppled over. The top half was found about six feet away. I temporarily stuck its end in the dirt of the broken pot. We'll do a clean cut and see if it can be saved, but I'm not all that hopeful. Tuesday, on the other hand, is loving it. When we went out this morning to take photos and futher assess the damage she was gleefully hopping from one little stick to the next. She LOVES stick chomping...I thought her head would explode with the excitement of yesterday's bounty! I've got hope. 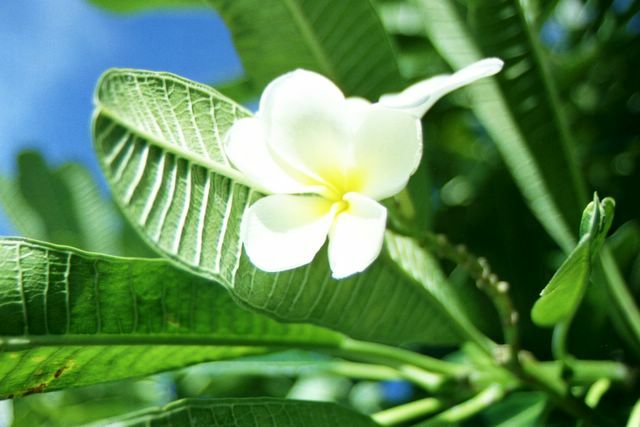 My mother had what she called a Tea Plant (I have no idea if that was the proper name now that I think about it) that was reduced to a stalk quite like your Plumeria in this pic via falls, disease, and cat gnawing. Each and every time, she nursed it & it came back like a Phoenix. C'mon...look at those roots!